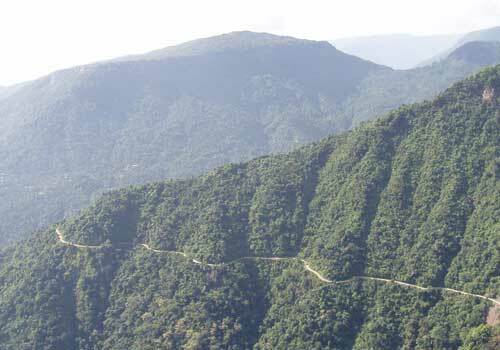 Cherrapunjee is one of the most beautiful travel location in Meghalaya State of India and a lot of travelers visit this beautiful travel destination in East India. Cherrapunjee also holds the distinction of being the second wettest place on earth and this beautiful travel spot in Meghalaya boasts of receiving the most rainfall in a calendar year. 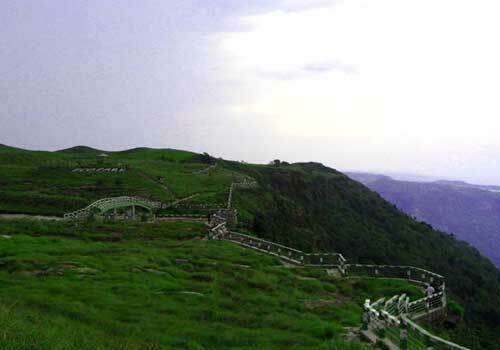 With an elevation of 1,484 metres (4,869 ft), Cherrapunjee is basically located on a plateau on the southern parts of the Khasi hills which faces the plains of Bangladesh. Cherrapunjee gets majority of its rainfall during the months from March to October and gets moderate rainfall during the remaining months. So most of the time you will be experiencing a wet climate while on your trip to Cherrapunjee and this is something unique which makes Cherrapunjee a hot travel destination in East India. One of the most interesting thing that you can do while you arrive at Cherrapunjee is to visit the Living Root Bridges which is one of the most amazing and unique things to see in this part of Meghalaya. The Living Root Bridges are created by the Khasi Tribe and is considered as one of the best examples of bio engineering. The Living Root Bridges are build as a results of hard work over years and are building by guiding the roots of Ficus benghalensis. The living root bridges can last upto 500 years and you can see the most popular living root bridges of Cherrapunjee at Nongriat and Mawlynnong villages. The natural beauty that bounds Cherrapunjee is something special while you are travelling this beautiful travel spot in Meghalaya and some of the major natural beauties to watch out include waterfalls, parks, rocks, forests, wildlife parks etc. 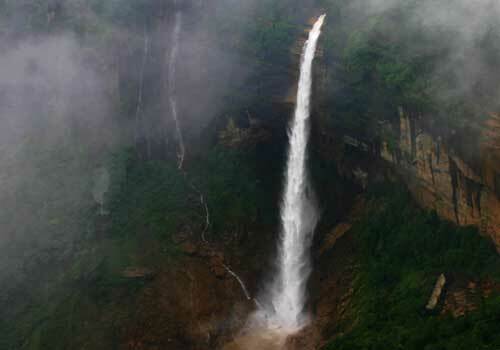 The Nohkalikai and Dainthlen waterfalls are two of the most popular waterfalls in Cherrapunjee. Nohkalikai waterfall is considered as the fourth highest waterfalls in the world, which makes Cherrapunjee a must to visit travel destination in Meghalaya. Cherrapunjee is also home to some of the most amazing breed of orchids, moss and ferns. You will also be able to get hold of some of the best and high quality pine apples and oranges if you visit Cherrapunjee at the right time. If you are interested in having some adventure activities in Cherrapunjee, then you can try your hand at trekking as you can find a good number of treks in and around Cherrapunjee and the most popular among the treks is the one to the “Double Decker Living Root” bridge in Nongriat village. You can also easily avail guides for taking the “Double Decker Living Root” bridge trek which will make things easier for you. Apart from trekking, Cherrapunjee is also considered as an ideal place for river canoeing and swimming. If you are keen to enjoy the beauty of the rains in Cherrapunjee, then the months of September and October is considered as the most ideal time. The rain adds more to the beauty of Cherrapunjee and we can see a lot of tourists visiting this place during that time. Every month offers something special for different type of tour packages such as holiday, vacation, honeymoon and adventure tours. There are no railheads or airports in or around Cherrapunjee and the nearest rail-head is at Guwahati which is around 180 kms away from Cherrapunjee. Guwahati International Airport and Shillong Airport are two of the most nearest airports to Cherrapunjee. Once you reach these place, then you have to travel by road to reach Cherrapunjee which will give you yet another gorgeous travel experience. There are a good number of budget hotels and resorts available in and around Cherrapunjee which makes it easy to find a suitable accommodation. You can also search on the internet to get an idea about quality hotels, lodges and resorts in Cherrapunjee. If you are really interested in travelling to this destination, then you can also take help of various tour operators who offers travel tour packages to Cherrapunjee. You can also compare various tour quotes from different tour operators or travel agents and get the most suitable travel suggestions. This entry was posted in Cherrapunjee and tagged cherrapunjee tourism, cherrapunjee tourist spots, cherrapunjee travel, cherrapunjee travel attraction, cherrapunjee travel destinations. Bookmark the permalink.